Located on the main floor. Our own private door is on a far end of the parking lot. This place is a pure a scam. Do not buy tickets online because this place doesn't even exist. Bought the tickets on Groupon, when we arrived to the place, we could not find the entrance and checked the whole building and every single door and it was not there. When we called them multiple times, no one picked up. Oh no! 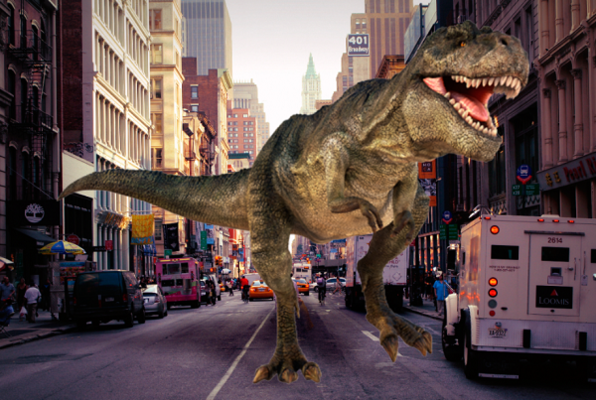 There is something wrong with the time machine... You find yourselves in the Jurassic era while the dinosaurs are roaming the streets of New York. Your team needs to find the code and start the emergency reboot sequence until all the beasts are unleashed. Reviews of escape game "Jurassic Takeover"
HORRIBLE EXPERIENCE. THIS PLACE DESERVES ZERO STARS FOR THEIR FRAUDALENT BUSINESS PRACTICES. I bought two tickets to the Black Hat Escape Room on a Friday at 4:30pm. At 6:33pm I received a text message that said that there was a "glitch" in their system that allowed me to book even though they had an "event". I had already planned my date night and it was ruined because of them. They offered compensation to come back another day with two other people. I declined and asked for a refund that they said would be processed on the Monday after. Well, two weeks have passed. I called my credit card company and NO REFUND WAS EVER MADE. I disputed the charge and reported this business. This place is a fraud and no one should ever do business here. Should have zero stars. Canceled without notification and still waiting on a refund. Called and owner was less than helpful. It was great! A great group activity that has you thinking on your feet to solve a series of clues. Had a great time with friends. The owner is very accommodating. I would definitely recommend this place for adults and kids parties (planning to do my kid's party there as well). Had fun friends reunion at Black Hat Escape. Definitely will be back again and again. Planning to take co-workers too as it's a great tool to practice teamwork. The owner was very friendly and went out of her way to meet our needs.